Worked a deal for a 100 acre lease inside loop 1604 in San Antonio. If it wasn't for San Antonio traffic it would be 15 minutes from my front door. It has a total of 1 deer on it but plenty of pigs. This is my biggest pig to date. That's a monster! Nice job! That is a porker! What it weigh ya think? Didn't have the opportunity to weigh it but my brother recently killed one that went a hair over 200#'s dressed and he said this one was a bit smaller than his. So I'll guess 190#'s. Congrats! thats a big pig! Wow lots of pork for sure! Wow , my boy lives right inside loop 1604(Braun Rd. ), will have to tell him to watch my grandkids closer. 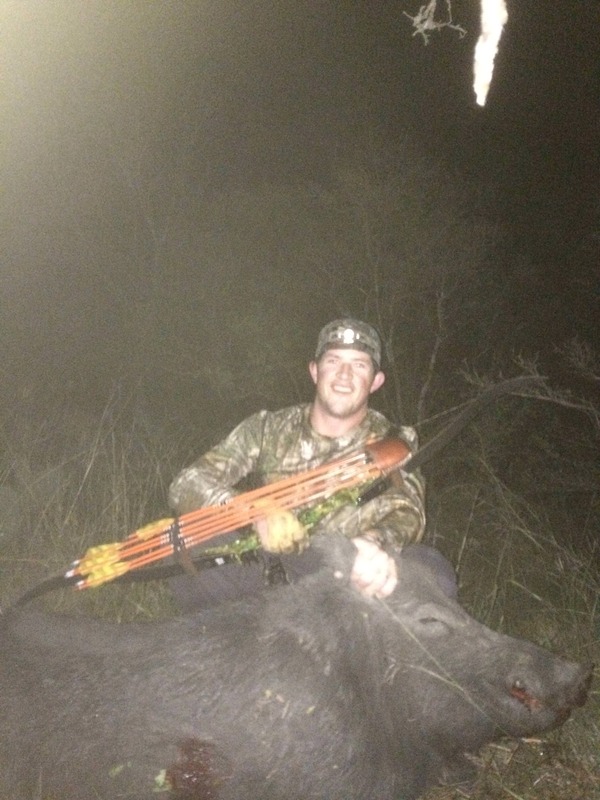 Big ol pig you got there, congrats.